in western and central Africa to do more to stop new HIV infections among children and adolescents and increase HIV testing and treatment coverage. Health Reporters gathered that the resolution was made at a high-level meeting in Dakar, Senegal on Wednesday by the UN agencies. In 2017, around 67 000 children, aged 0–9 years and 69 000 adolescents, aged 10–19 years became newly infected with HIV, with the two thirds, 46 000 of adolescents newly infected with the virus were girls. more than 35 per cent between 2010 and 2017. Others, including Nigeria, which has the largest epidemic in the region, experienced no declines at all. 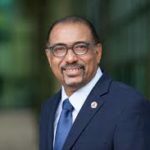 The Executive Director of UNAIDS, Michel Sidibé said countries in western and central Africa have a real opportunity to create a positive change for children and young people. discrimination must urgently be addressed to remove barriers and save lives,” he said. In western and central Africa, close to 800 000 children and adolescents aged between 0 and 19 years were living with HIV in 2017, the second highest number in the world after eastern and southern Africa. WHO Regional Director for Africa, Matshidiso Moeti said they are making effort not lose anymore of Africa’s future to AIDS. unpack the challenges, share best practices and innovative approaches to address the persisting bottlenecks. They meeting would also agree on corrective actions and ensure commitment to action from countries and partners. health, experts, representatives of civil society and partners from across the region as well as high-level representatives of United Nations organizations, the African Union, the Economic Community of West African States and the Economic Community of Central African States. 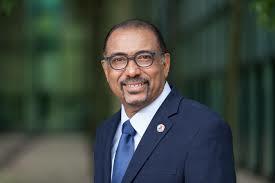 in additional funds for HIV prevention in the Asia–Pacific region.